The team at Hot Shot’s Secret is creating formulas that will increase the performance and life-expectancy of engines. In doing so, they’re going to change the prevailing opinion of many diesel owners out there – that additives and oils are a secondary concern, or that they harm more than they help. Yours truly has been on the wary side when it comes performance additives. But, now that I have tested these products, it’s clear that Hot Shot’s Secret is more than the ordinary additive manufacturer – they really want to help. We have been testing their FR3 friction reducer, and EDT (Everyday Diesel Treatment) for over a month now in one of our Diesel Army project trucks. 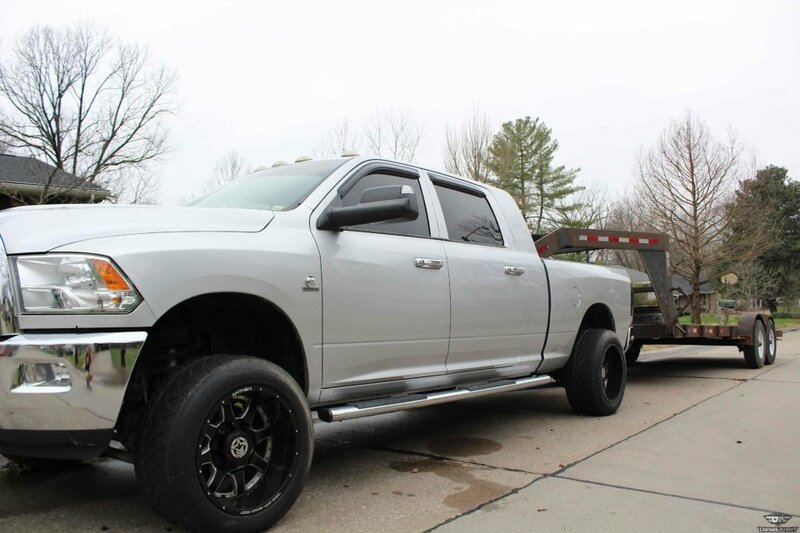 The truck is a 2011 Dodge Ram 2500 equipped with a 6.7-liter Cummins turbo diesel. 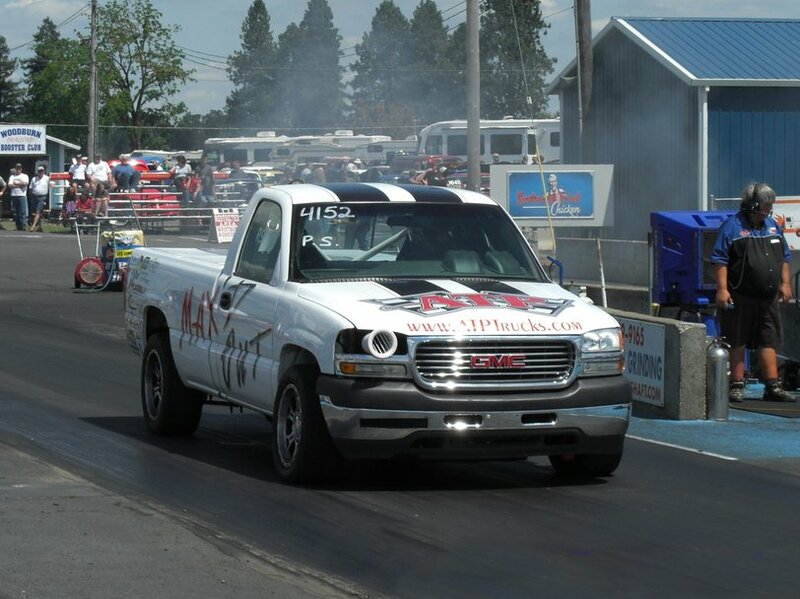 The job of this truck is to tow our trailer and race truck to events. One of the major killers in not only diesel engines, but all engines, is friction, which produces excess heat. 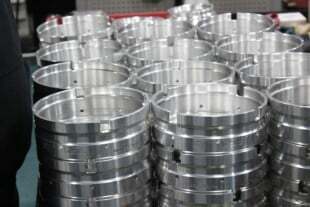 As internal parts wear and tear, the heat and friction slow the rotating assembly down, resulting in a loss in horsepower and torque output of the engine. So, what if we had an additive that would virtually erase this problem in all engines? FR3 is doing just that. 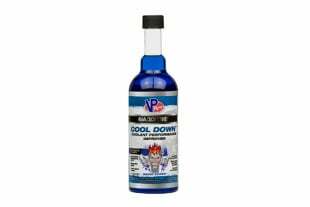 Per the recommendations, adding one treatment of FR3 to the oil per oil change will help the engine run cooler and have increased power and performance. 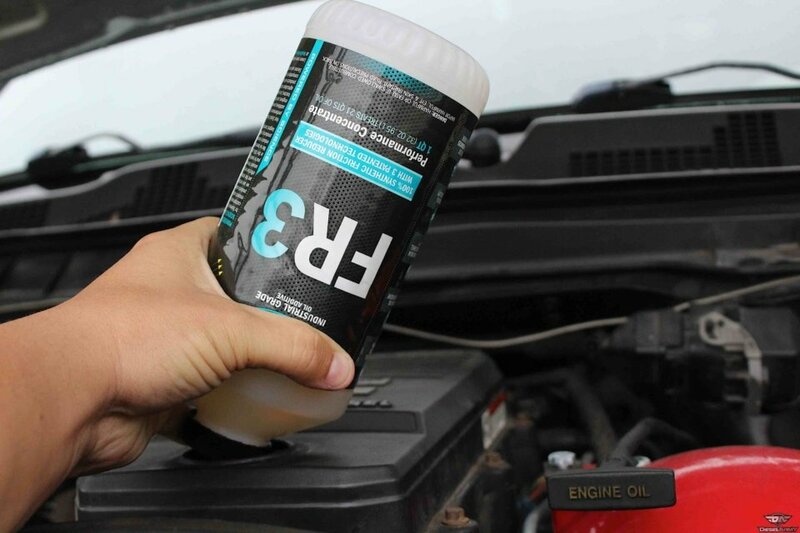 With a specially formulated additive such as this one, the engine should run smoother and free up some of that much-needed performance. 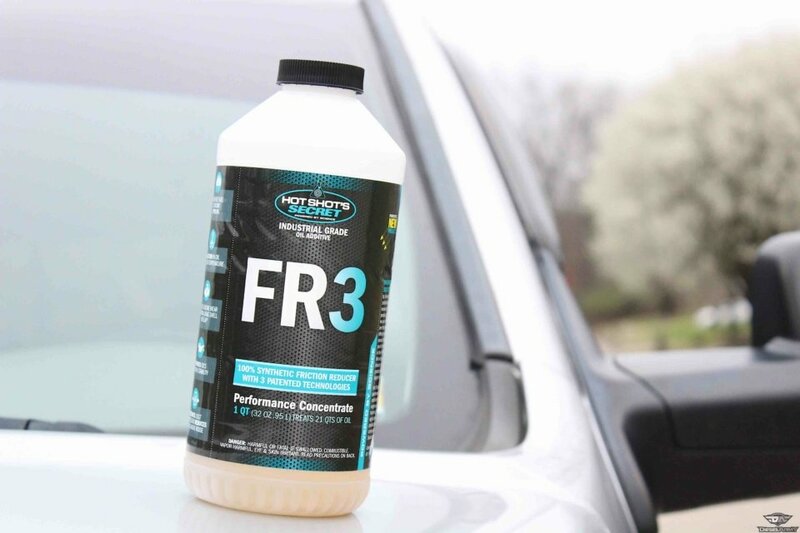 By using FR3, we’re potentially going to see up to a five-percent increase on fuel economy. With better fuel economy comes with other benefits, including reduced operating oil temperatures, improved oil stability, reduced lifter and valve noise, and reduced engine wear by up to 43 percent. 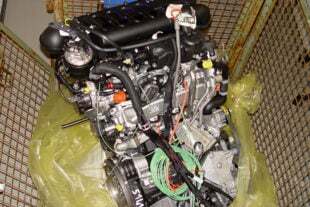 Like the oil, the engine fuel and fuel system need maintenance. Neglecting the fuel system and not keeping it clean and efficient can result in power loss. The Everyday Diesel Treatment is a one-stop-shop for getting the most out of the stops at the fueling stations. 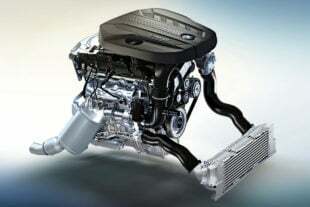 One treatment of the EDT will potentially free up power and performance in the Cummins, and also increase fuel economy. EDT is recommended for all diesel engines because it is an ashless concentrate and has no negative effects on engine components. It also meets the regulations with federal low-sulfur content requirements. EDT is meant to be an every fill-up treatment. As you approach the fueling station, know that an ounce of EDT put into the tank will treat up to 25 gallons. When you’re dosing your fuel system with the additive, you’re going to want to know how much additive treats how much fuel. For a premium dose, one ounce will treat 25 gallons of diesel fuel. An entire 16-ounce bottle will therefore treat 400 gallons of fuel. For a performance-based application, you’re going to want to use a two-ounce dose. 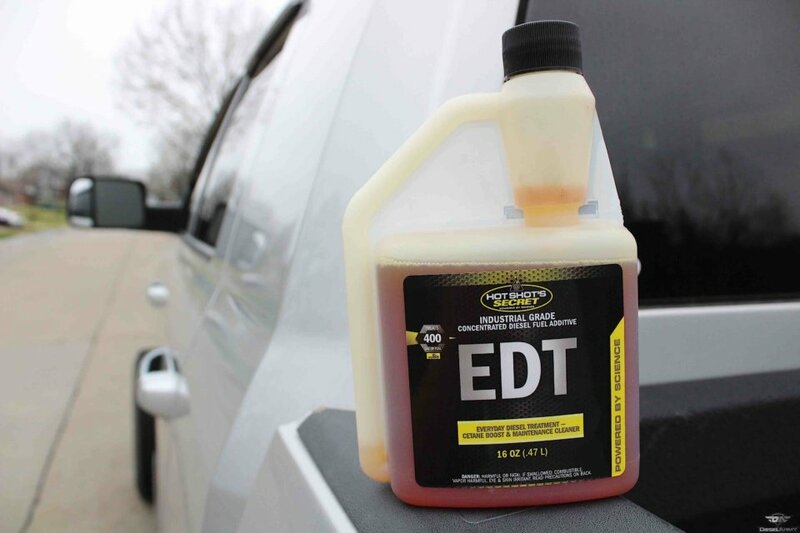 EDT is a cetane improver consisting of special nitrates. 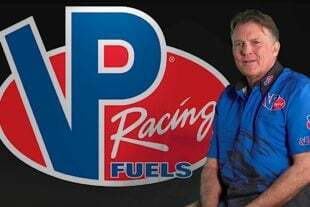 These nitrates are pro-oxidants and will speed up the oxidative process of fuels during combustion, giving more power and improved mileage. Treating your fuel with this additive will also mitigate build-up, sludge, and corrosion. The reason for better performance with EDT is that cetane improvement in the fuel gives a smoother, less erratic pressure buildup. This happens in the combustion chamber during the ignition delay period, and occurs between injection and ignition. Power and fuel economy are thus increased as fuel burns more evenly and cleanly. When the ignition is improved, emissions are reduced and noise levels are lowered. Controlling the pressure build-up allows a complete burning of the refractive molecules in the fuel. An incomplete burn steals power and produces deposits and wear. 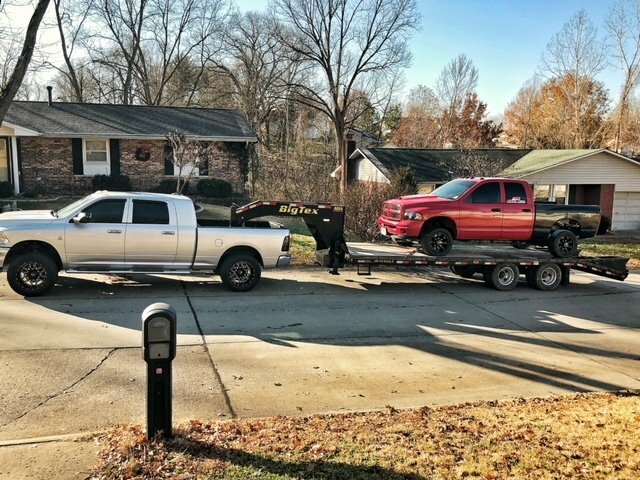 Towing is the main job for the truck. With an important role like this, it’s key to maintain the upkeep the engine and fuel system. 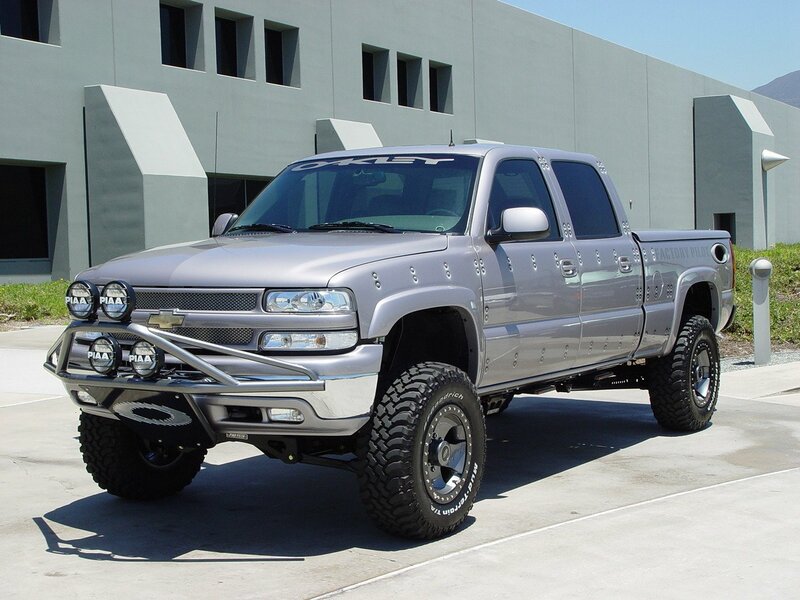 After applying the Everyday Diesel Treatment in the truck, there was a slight dampening of the fuel system’s noise. I could notice that the fuel components weren’t making near the noise or clatter that they were before. On a lot of these diesel engines, you can hear injectors ticking, but with this Everyday Diesel Treatment, the overall sound was substantially lowered, which made for a more pleasant driving experience. I noticed that my mileage on the overhead was reading higher than normal. Understanding that it wouldn’t be dead-on, I anticipated testing for better mileage with this product. After multiple tanks of fuel, I got an average of miles per tank with, as well as without using the EDT. With EDT, I averaged a 1.3 miles-per-gallon increase over no additive. As for the FR3, this was poured into the oil fill while the engine was running. The results were unbelievable. Even just pouring in the FR3 into the engine, I could already hear the difference. The formula worked so fast that it nearly eliminated engine noise. I honestly thought something may be wrong with the truck because it had gotten so quiet. Since this is a once per oil change treatment, I’ve only had to use the product this one time, but I can assure you that it will be used from here on out. 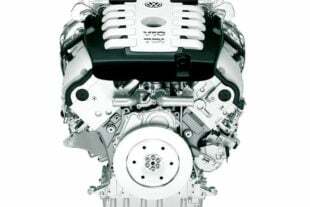 The engine noticeably runs smoother, quieter, and gets better fuel mileage after checking during the course of three to four tanks. I averaged a 2.2 miles per gallon increase while using the FR3 and can tell that the truck makes more power than before. With this combination of products after a month of testing, I’m pleased to announce that they are nothing short of perfect. 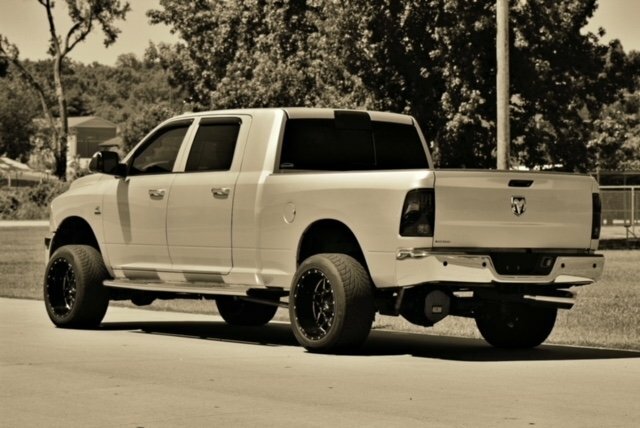 The truck has picked up better drivability, smoother power, and an additional 3.5 miles per gallon. I would recommend these products to anyone considering the positive effects that they have brought. 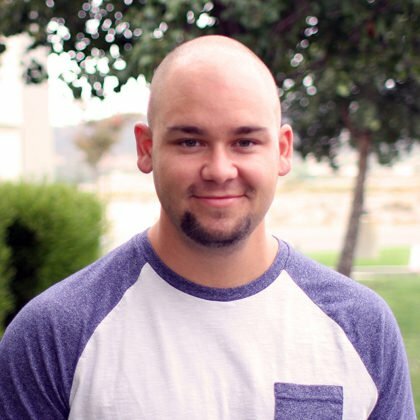 For more information about all of Hot Shot’s Secret products, check out their website.